I want to be a writer. Notice I said I want to, not I am. I’ve only been writing things for over twenty years – either marketing copy or fiction stories. No matter which, the reality is I struggle with believing in myself. My takeaway from this verse is God’s telling me if I believe in him, I need to believe in myself. After getting the kids off to school, I took a walk and the verse rattled around in my head. But for some reason the key word competence turned into the word confidence (I wonder who put that there?). As I mulled around thoughts about confidence, I knew I needed to come home and look up the word in the dictionary. And I love the example they gave in a sentence: His lack of confidence defeated him. Is my lack of confidence in my abilities as a writer defeating me? I think about my writing and the nudges I have had over the past five years and I know without a doubt God wants me to do this, otherwise doors would’ve closed on me long ago. However I’m not fully doing what he wants me to do because I have not had the confidence to just do it. I’ve been saying for a while now, I would like to write devotionals. I have this strong innate desire to share hope, encouragement and God’s Word with others. What I haven’t been sure about is the how and what. So I haven’t done it, period. When I took my walk this am something clicked and I couldn’t wait to get back home because I needed to do this right now. God has confidence in me. He has given me the desire. He’s nudging me to do this. Why have I not done this? Why? I’m afraid – that’s why. What am I so afraid of? Putting myself out there? Looking like an idiot? Is that confidence then? I know I’m not looking for accolades, not looking for stardom. I just want to write and share my heart. But I’ve been too scared to do that. Then I saw the Synonyms for confidence – 1. faith, reliance, dependence. And the Antonym – 1. mistrust. Wow! In a nutshell, my lack of confidence in myself (lack of faith) and the abilities God has given me (lack of faith, dependence) are holding me back from sharing something he wants me to share. I’m not really trusting God then, am I? If I have faith, I should have confidence in what he’s asking me to do. And I need to depend on Him when I do it. So here I am today. 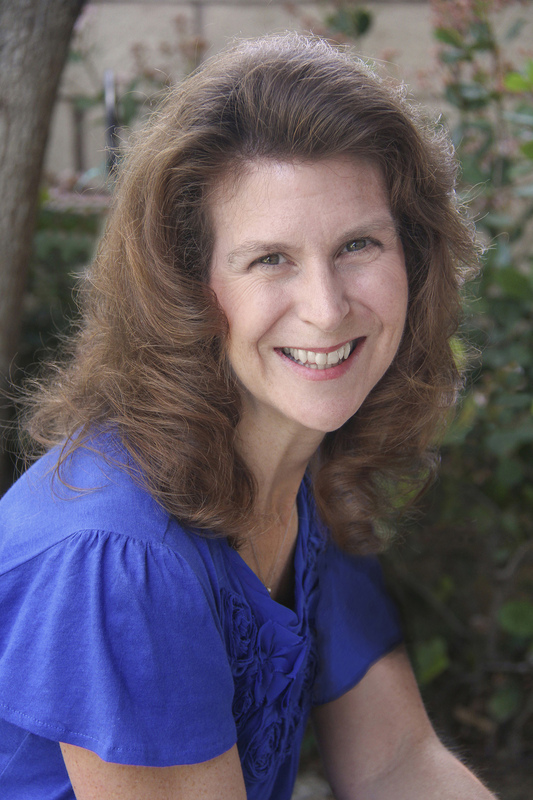 Writing a devotional and setting up a specific devotional page on my website. Only God knows what will happen. I just need to have the confidence to do it (already the nagging doubts are creeping in). I must rely on God with the rest. And the Synonym: 1. fit, capable, proficient. No antonym. Interesting. There is no negative/opposite of being competent. You either are or you are not. I may not be the best writer, but I know I am proficient. So what am I waiting for? 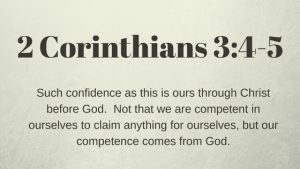 Then I looked at 2 Corinthians 3:4 Such confidence as this is ours through Christ before God. If God has given you skills – you are capable to use them for his glory. You just need to have the confidence through Him to do it. 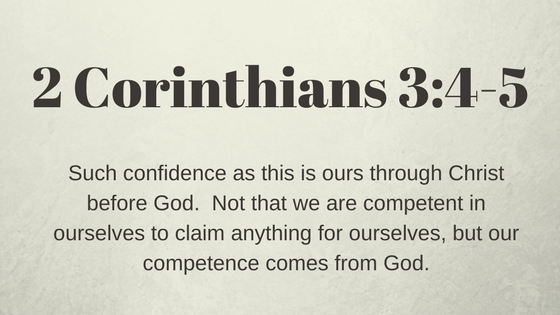 What abilities (competence) has God given you? Where do you put your confidence? In your own efforts, schedule, skills, voices in your head? Or do you trust God? Do you have the confidence to put yourself out there with whatever it is? God has given us all skills. We are all competent in something. Being competent does not need to mean you are the best at something. Being competent means you are proficient. You can get the job done. We let our own voices tell us we are not competent because we think we need to be the best or someone does it better than us and we let it affect our confidence which in turn affects what we do. Everyone’s path is different and God has one he wants you to follow. He has given you these skills for a reason. You just have to have confidence in Him that He is with you every step of the way. God believes in you and I believe in you too!